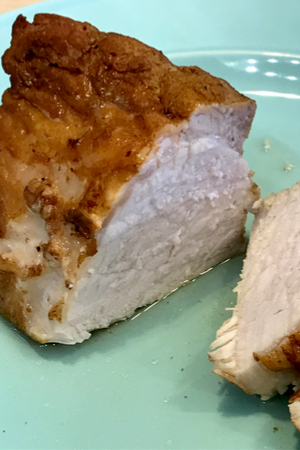 One of the most frequently asked recipe questions is How To Cook Pork Tenderloin in the Instant Pot. 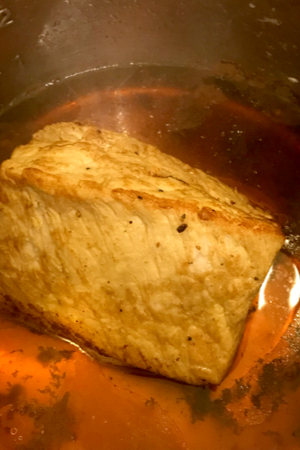 Ever since I purchased my Instant Pot 6 quart Duo, I have seen hundreds of questions, comments, and debates on social media about the proper way to cook pork tenderloin in the Instant Pot. Moist and juicy Instant Pot Pork Tenderloin. But before we answer this question, there are some important facts to know. Not every pork loin is created equal. Although they sound similar, pork tenderloin is not the same thing as pork loin. In fact, they don’t even come from the same cut of meat. Pork tenderloin is a very lean and delicate cut of meat. It is meat that runs along the backbone and is one of the most tender cuts of meat used when used with quick cooking methods. There is a big difference between pork loin and pork tenderloin. This is the pork tenderloin that was cooked for this recipe. It is sometimes called a pork loin filet, pork tender, or pork filet. They are sold as a long and skinny piece of meat and are often sold under brand names such as Smithfield. On the contrary, pork loin is a larger cut of meat that comes from the back itself. It will have a large fat layer on one side of the meat. Butchers will cut down sections of a larger pork loin and typically sell them at between 2-5 pounds of weight. They are the size of a roast or when cut down in thinner strips, the size of a steak. 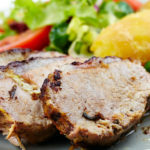 Pork loins are best cooked for longer periods of time as compared to a pork tenderloin. We primarily use it to make pulled pork or pork and sauerkraut. 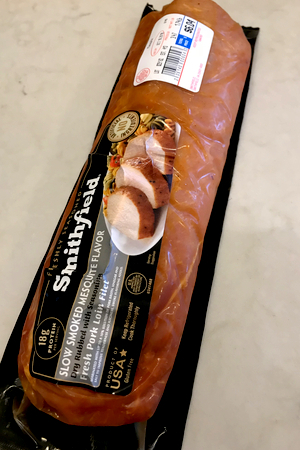 You will also see these names when purchasing a pork loin: pork loin roast, center cut pork roast, pork rib roast, pork center cut rib roast. They come in both boneless and bone-in cuts of meat. 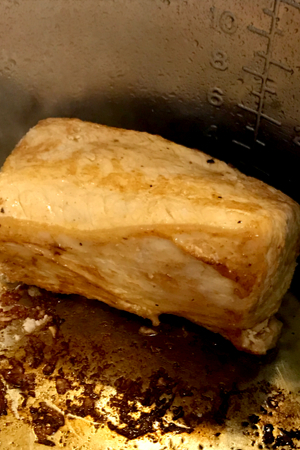 So now you can see why all of the discrepancies of cooking methods and time when someone asks ‘How To Cook Pork Tenderloin’ in an Instant Pot. 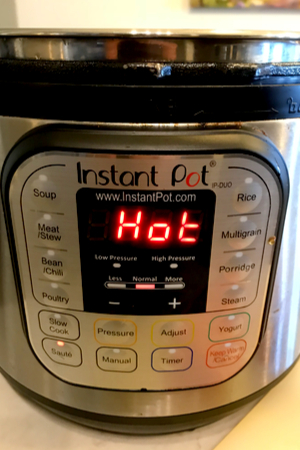 However, this recipe will explain how we cook the perfect, most juicy pork tenderloin in our Instant Pot. The key to lean cuts of meat, including pork tenderloin in the Instant Pot, is not to overcook them. If they are cooked too long, the meat will be dry and tough. Once the time expires, allow for a natural release before removing the tenderloin. You want to cook them so the internal temperature reaches 145°F when measured by a digital food thermometer. For those that have heard that pork has to be cooked at a temperature over 160°F, please take note. The USDA states that pork chops, roasts, and steaks are safe to consume at 145°F. However, pork sausage patties and ground pork mixtures such as meatloaf must be cooked to a temperature of 160°F. And another way to make everyone confused! In order to ensure that you have tender and juicy results, it is best to brown the meat prior to pressure cooking. It produces a barrier on the exterior surface of the meat that helps keep the moisture on the inside. I prefer to cut the pork tenderloin in half when browning. I prefer to cut my pork tenderloin in half and sear the two pieces, rather than trying to do one long piece. After each side is brown, pour in your liquid and de-glaze the bottom of the pan. Remove all of the browned bits from the bottom before locking the lid in place. To prevent the burn notice, be sure to deglaze the pot. Any type of thin liquid will work. However, there will be a definite difference in flavor depending on what you chose. You can thicken the root beer and reduce for a delicious glaze. Any type of stock will be better than using plain water. I have used vegetable, beef, and chicken stock with good results. However, my favorite liquid to add is Root Beer. I am not a soda drinker, and I seem to always have some left over either from our Root Beer meatball recipe or after making a few racks of ribs. 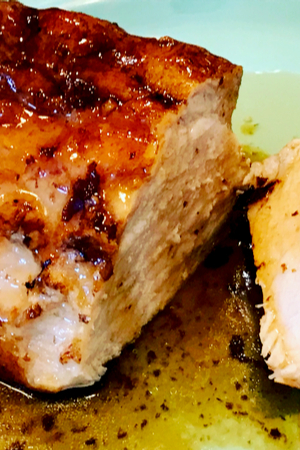 When I decided to add the Root Beer as the liquid for the pork tenderloin recipe, the results were DELICIOUS! 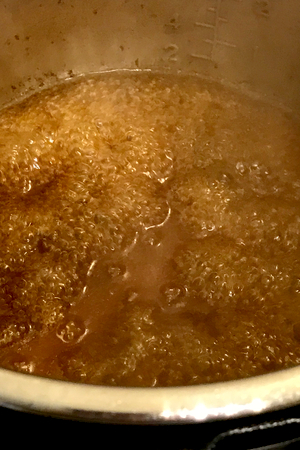 In fact, after I took the meat out to rest, I thickened up the Root Beer liquid with a little corn starch and made a Root Beer gravy to pour on top! Pork tenderloin drizzled with the root beer glaze. on Facebook, Twitter, Pinterest, and Instagram. This article may contain affiliate links. 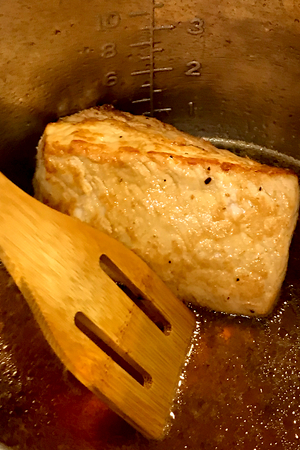 Moist and delicious pork tenderloin filet cooked to perfection in the Instant Pot smothered in a root beer glaze. Once the Instant Pot reads HOT, add the oil and brown tenderloin pieces. Brown on all sides. Turn Instant Pot OFF/Cancel and pour in root beer. Deglaze the bottom of the pot to be sure that all pieces stuck on the bottom of the liner have been loosened. Place the lid on in the locked and sealed position. Pressure Cook/Manual on High for 15 minutes. Allow for a Natural Pressure Release for at least 10 minutes. Quick release any remaining pressure. Remove the meat – cover and let rest for 5 minutes. If desired, remove 1/4 cup of the liquid from the bottom of the pot and whisk in corn starch to make a slurry. Add slurry back to pot. Place pot on Saute mode and reduce to a thick sauce. Drizzle over the pork tenderloin before eating. Check the internal temperature to be sure it has reached 145 degrees F.
You don’t mention any seasoning and when seasoning the tenderloin it’s important to know if it is before browning or after ? Hi Louis I would season or marinate before browning. I typically buy pre-seasoned/marinated pork tenderloins to make it even easier. I tried this recipe today using chix broth (had no rootbeer). It turned out very good. So glad to hear that! I have used a variety of liquids as well – whatever I have on hand. This recipe sounds delicious. I want to cook 2 tenderloins for our friends. Can I do it at once (they seem to fit) and do I need to change liquid volume/cooking time? I have never tried to make two at the same time, but the liquid and cook time should remain the same. Hi Judy I have never personally used the GEM – but I used to cook my pork tenderloin on low for 4 hours or on high for 1.5 -2 hours. Hope that helps. The cook time will remain the same but the pot will take longer to come to pressure. Do you use a trivet for the meat? I do not use the trivet for this recipe. I place the meat directly in the liner of the pot. I still brown the tenderloin when it has been marinated. But you could skip that part and cook as directed. I’m doing four pork tenderloins, I have the biggest instant pot. How long should I cook it for? I have never made more than one at a time. However, based on increasing the volume of other meat only recipes, I would add 5 minutes to the cooking time since they will be stacked on each other.